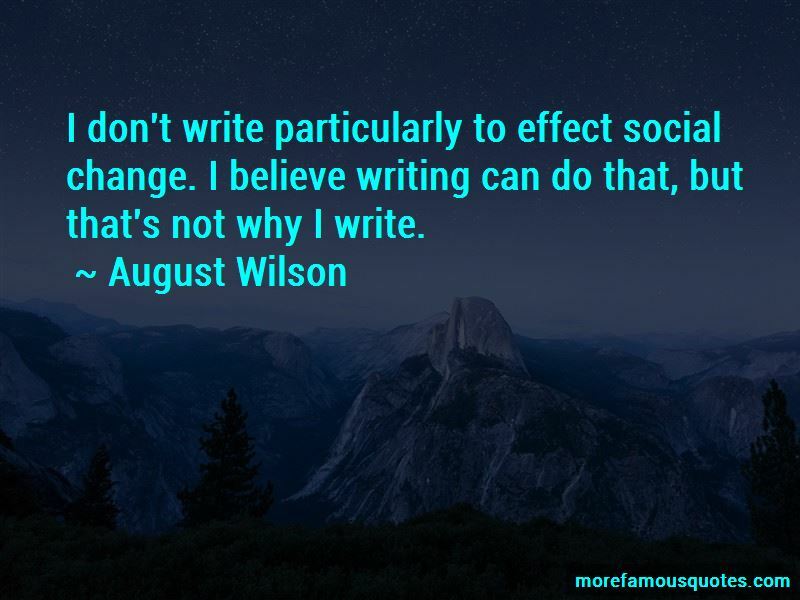 Enjoy the top 95 famous quotes, sayings and quotations by August Wilson. “I done learned my mistake and learned to do what's right by it. You still trying to get something for nothing. Life don't owe you nothing. You owe it to yourself. “-How long you been with the rail road now? 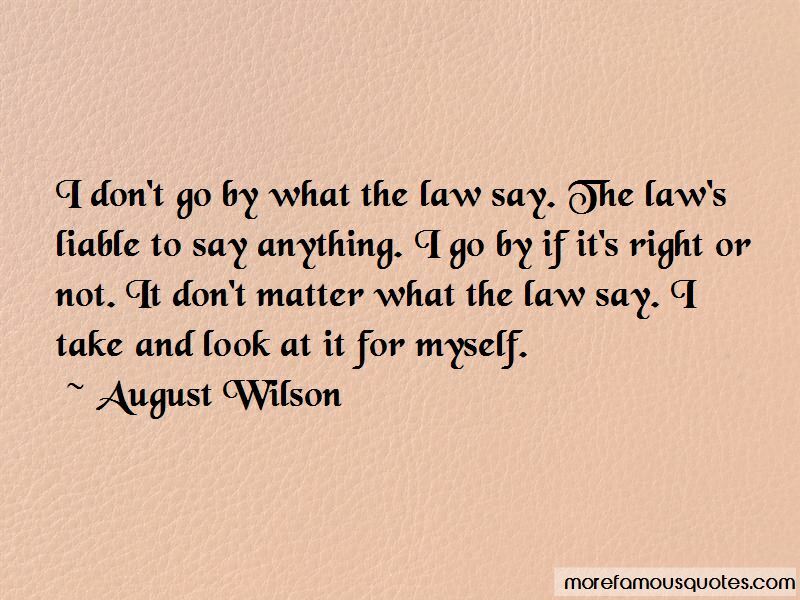 You can put law on paper but that don't make it right. I'm a De Niro fan. I went eleven years without seeing a movie; the last one before that, February 1980, was De Niro and Scorsese in 'Raging Bull,' and when I went back, it was 'Cape Fear,' with De Niro and Scorsese. I picked up right where I left off at. I don't look at our society today too much. My focus is still in the past, and part of the reason is because what I do - the wellspring of art, or what I do - l get from the blues. So I listen to the music of a particular period that I'm working on, and I think inside the music is clues to what is happening with the people. Land [is] the only thing God ain't making no more of. I may be personable, but I assure you I am a lion. 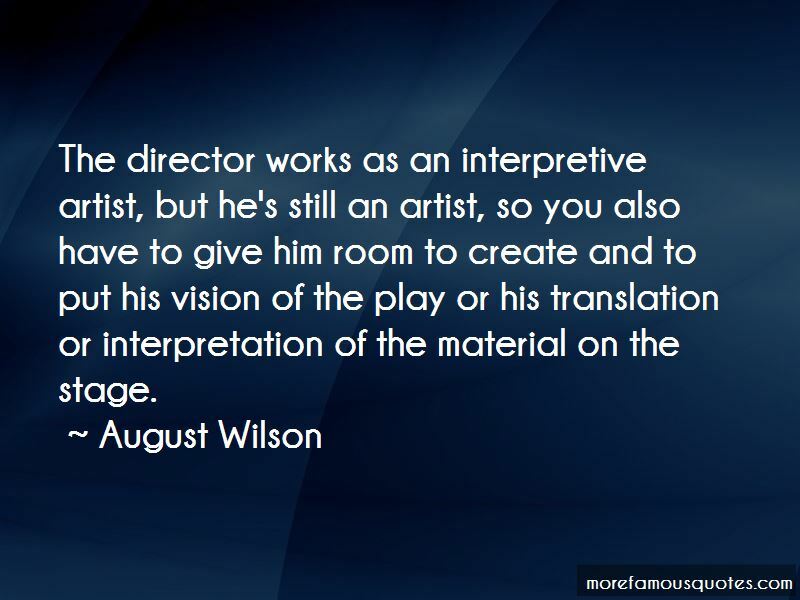 Want to see more pictures of August Wilson quotes? Click on image of August Wilson quotes to view full size.